This is a wood frame made with a means on the back for a choice of placement. 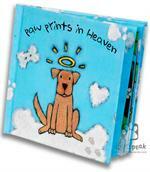 Our dogs, and even cats, put paw prints on our heart as we share life. These paw print memories never leave us. 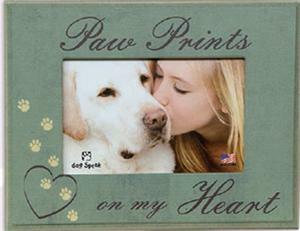 As a memorial product, this frame is shipped FREE.